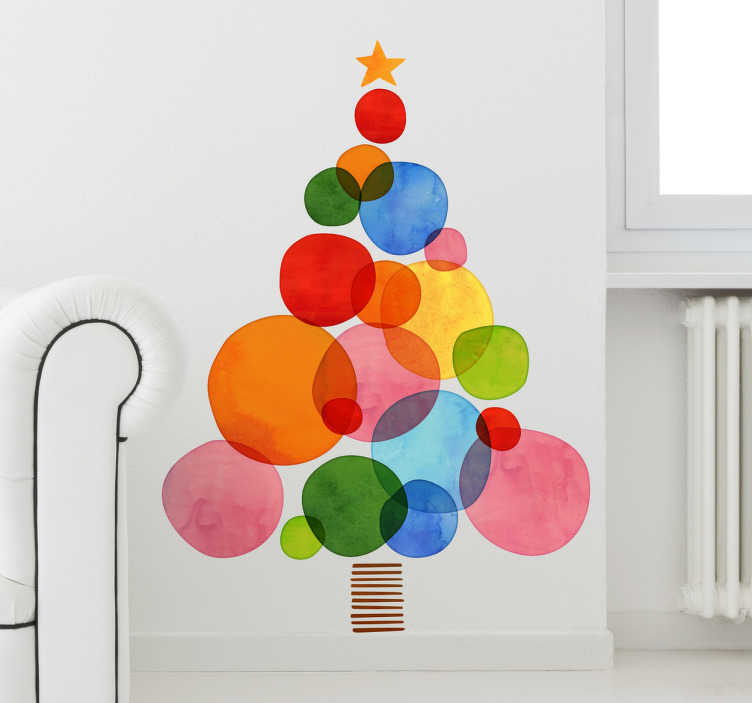 Colourful Christmas Tree wall sticker perfect for decorating your living room, dining room or bedroom during the Xmas holidays. This vibrant tree wall sticker is made up of multiple different coloured circles and a star, perfect Christmas decoration for your home. This high quality anti-bubble vinyl is durable and leaves no residue when removed after the Christmas period.